The four actors appearing in Invention of Theater appear to be having fun. As well they might. Sean Murphy’s world-premiere one-act lets them show off their chops in styles reminiscent of playwrights ranging from Shakespeare to David Mamet, Arthur Miller and Neil Simon. As if that weren’t enough, the play has two cast members walk through a scene while stepping over and around imaginary furniture, then repeat the same scene at breakneck speed. So Invention of Theater is fun for the actors, especially student actors eager to demonstrate their range. As for the audience, it offers knowing chuckles for those savvy enough to realize that when, say, Murphy places two sexist, macho men in an office environment, he’s spoofing Mamet. More generally, it offers a lighthearted look at the nature and current state of theater, mixed in with some frankly silly jokes and puns. For example, the style of the Shakespearean segment is said to be inspired by the character named Elizabeth (Grace Hoover) and is thus labeled “Elizabethan.” Groan. 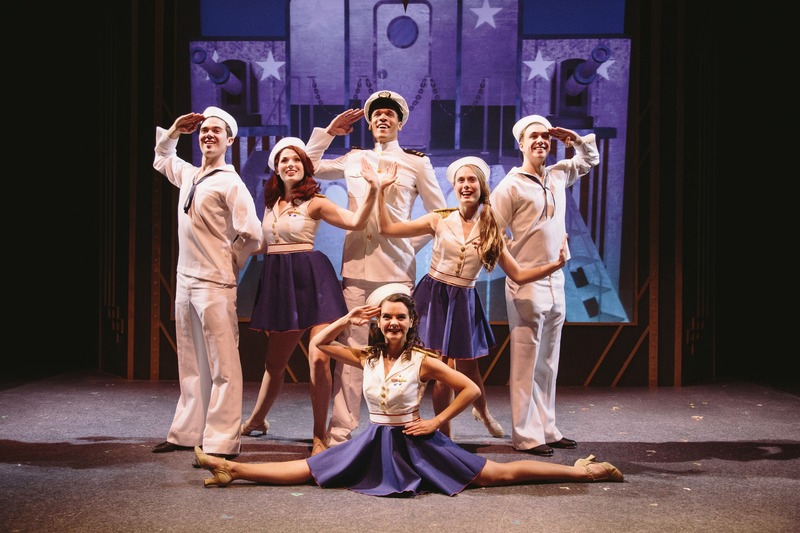 Working under Melissa Lusher’s direction, the cast throws itself whole-heartedly into Murphy’s spoofs, which are the most entertaining part of the show. The action begins when Kevin (Benjamin Folts) and Elizabeth meet on a bare stage and announce that they love each other. Though Kevin seems sincere, the woman sees the declaration as simply the jumping-off place for a theatrical piece about two people’s search for romance. As their piece becomes increasingly complex, they’re joined by Toby (Evan Moore-Coll), who plays Kevin’s rival. Completing the cast, a producer named Avery (Steven Meeker Jr.) emerges from the audience and offers to help them turn their play into a profitable product. When Murphy isn’t spoofing theatrical icons or indulging in silly puns, he clearly aims to say something profound about theater and the artistic process in general. For example, when Avery starts changing the others’ theatrical piece with an eye toward maximizing profits, Kevin complains that he’s subverting their creation. Kevin decides to go along only after admitting he’d prefer to make his living acting rather than remaining at his current job as a customer-service representative. It’s the kind of compromise many young actors and other artistic types will find familiar. Then again, does it really compromise one’s integrity to do theater in the style of icons like Shakespeare, Miller and the others? Those guys were pretty good. At the very end, Murphy does say something pretty profound about the nature and appeal of theater. Otherwise, he does better when he sticks to spoofing theater rather than trying to explain it. 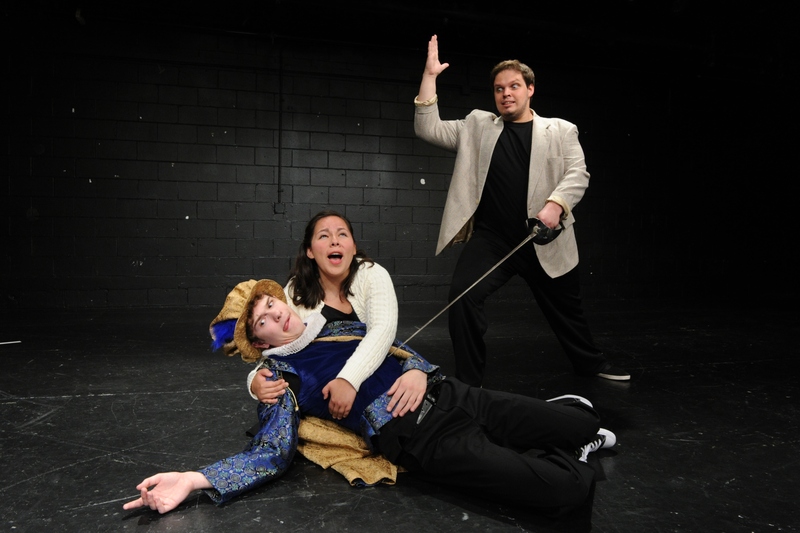 Otterbein Summer Theatre will present Invention of Theater through June 25 in Cowan Hall, 30 S. Grove St., Westerville. Show times are 8 p.m. Thursday-Saturday, plus 2 p.m. Friday. Running time: 1 hour, 35 minutes. Tickets are $25. 614-823-1109 or www.otterbein.edu/drama. 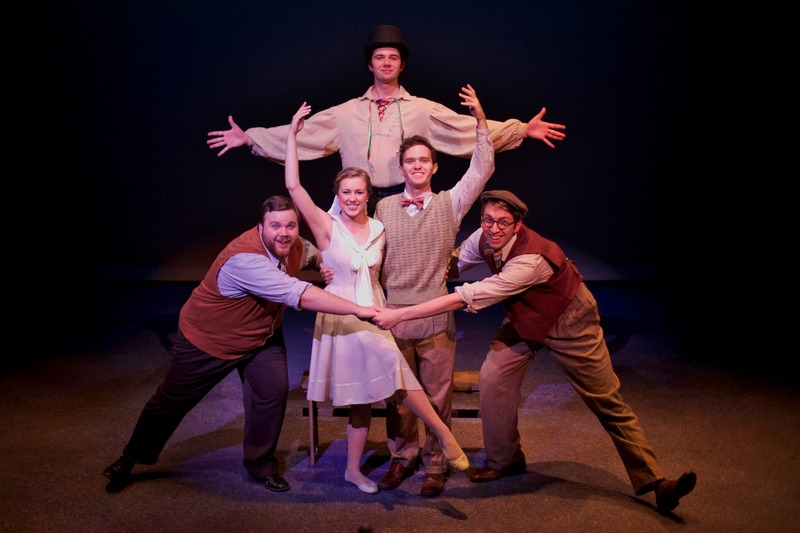 The Fantasticks is a subtle, tricky work that deals in mood and feeling rather than plot. When you think about it, it’s kind of amazing that the original off-Broadway production made it the world’s longest-running musical. How did it happen? The biggest factor is likely Tom Jones and Harvey Schmidt’s gorgeous music, beginning with the show-opening Try to Remember. It establishes a sad, wistful tone that colors everything that follows—that is, unless the actors break the spell by mishandling the subsequent forays into silliness and cynicism. At Otterbein, director David Caldwell leads a production that gets just about everything right. Sam Parker speaks simply and sings beautifully as El Gallo, the narrator who comes to play a pivotal role in the lives of the young central characters, Matt and Luisa. Growing up next to each other but separated by a wall erected by their fathers, the two have fallen in love. Or have they simply fallen in love with the idea of falling in love? Truthfully, Matt and Luisa are so filled with youthful optimism and romantic notions that they have little understanding of how the world really works. Before El Gallo is done with them, that will all change. Natalie Szczerba imbues the teenaged Luisa with an exalted sense of her own specialness and an operatically soaring voice. As Matt, Preston Pounds is slightly more limited vocally, but he sells us on the young man’s passionate approach to Luisa and everything else. Alex Huffman and Kyle Hansen give lightly comic turns as the pair’s fathers, who are not as opposed to the developing romance as they’ve let on. In fact, they conspire with El Gallo and itinerant actors Henry and Mortimer to concoct a way to push them together. As Henry, Jeff Gise at first struggles to give a believable impersonation of old age, but he grows more effective as the show goes on. As Mortimer, a faux Native American who specializes in death scenes, Anthony Cason gives the show’s funniest performance. Oddly, one of the production’s most expressive performances is delivered by Ian Taylor as the aptly named Mute, who silently portrays the wall and otherwise makes himself useful throughout. Rob Johnson’s scenery is minimal, as is traditional. Andy Baker’s lighting design is handsome and dramatic. Accompanying the singers from positions on opposite sides of the stage are music director/pianist Dennis Davenport and harpist James Predovich. Predovich’s playing is lovely, while Davenport’s keyboard work is extraordinary. How did The Fantasticks attain its legendary popularity? Now that I’ve seen Otterbein’s production, the feat is a bit easier to understand. Otterbein Summer Theatre will present The Fantasticks through June 21 in the Fritsche Theatre, Cowan Hall, 30 S. Grove St., Westerville. Show times are 8 p.m. Thursday-Saturday, plus 2 p.m. this Friday (June 13). Running time: 2 hours, 5 minutes (including intermission). Tickets are $25. 614-823-1109 or www.otterbein.edu/drama. The Pine Tree State must be a magical place, judging from Almost, Maine. Whether or not that’s a good thing is a matter of taste. John Cariani’s collection of vignettes is all about relationships—relationships beginning, relationships ending, relationships in flux. Most writers would be content to tackle the subject by throwing a couple of people together and letting human nature take its course, but Cariani prefers to add an element of unreality. His thesis seems to be that the ordinary rules of existence are skewed in the remote town where he sets his tales. Take the first story, Her Heart. A woman (Emily Vanni) shows up unannounced on the lawn of a local man (Harry Sanderson), sets up a tent and prepares to wait for the Northern Lights to appear. Why? The woman has an explanation that’s both sad and ingenious, but it’s overshadowed by her odd announcement that she’s carrying her heart in a bag. It seems that the organ was broken—literally broken, into so many pieces—by her husband and had to be replaced. As if this weren’t enough of a jarring distraction, Cariani also gives the man a name that is more or less the opposite of the husband’s. Coincidence, or is this his way of telling us that these two people have been brought together for a reason? Don’t bother guessing—it’s the latter. You figure this out after subsequent vignettes arrive with their own meaningfully named characters. I suppose you could label Cariani’s approach “magic realism,” but it strikes me as an unnecessarily heavy-handed example of the genre. Luckily, the acting is not heavy-handed but is subtle and appealing, allowing the tales’ innate charm to survive their author’s occasional excesses. Working under Christina Kirk’s direction and in the midst of scenic designer Rob Johnson’s spare depiction of a wintry, nighttime landscape, the four actors create a multitude of relatable personalities. If there’s a standout, it’s Vanni, whose characters range from the aforementioned trespasser to Rhonda, a grownup tomboy being courted by a longtime friend in Seeing the Thing. The other female cast member, Marina Pires, is solid in lower-key roles such as Marci, a woman struggling to reconnect with her husband in Where It Went. Sanderson is at his best playing men who are a bit confused by their circumstances, such as Marci’s husband, Phil. Final cast member Sean Murphy shines the brightest as Steve, a boy-man who’s oddly impervious to pain in This Hurts. Whether or not you share my crankiness over Cariani’s take on the subject of romance, you can’t help loving what Otterbein’s versatile cast does with it. Note: Don’t be surprised if you arrive at Otterbein’s Cowan Hall and find the auditorium empty. The audience section has been set up on the massive stage, which is the new home of Otterbein Summer Theatre. Personally, I always liked the intimate Campus Center Theatre, but apparently it’s no longer available. That being the case, the Cowan stage is a workable alternative. 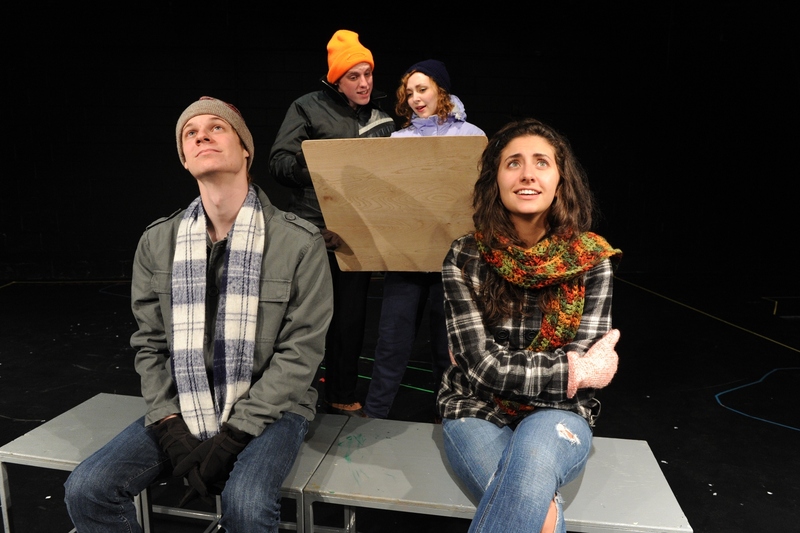 Otterbein Summer Theatre will present Almost, Maine at 8 p.m. Thursday through Saturday (June 6-8) at Cowan Hall, 30 S. Grove St., Westerville. Running time: 2 hours (including intermission). Tickets are $22. 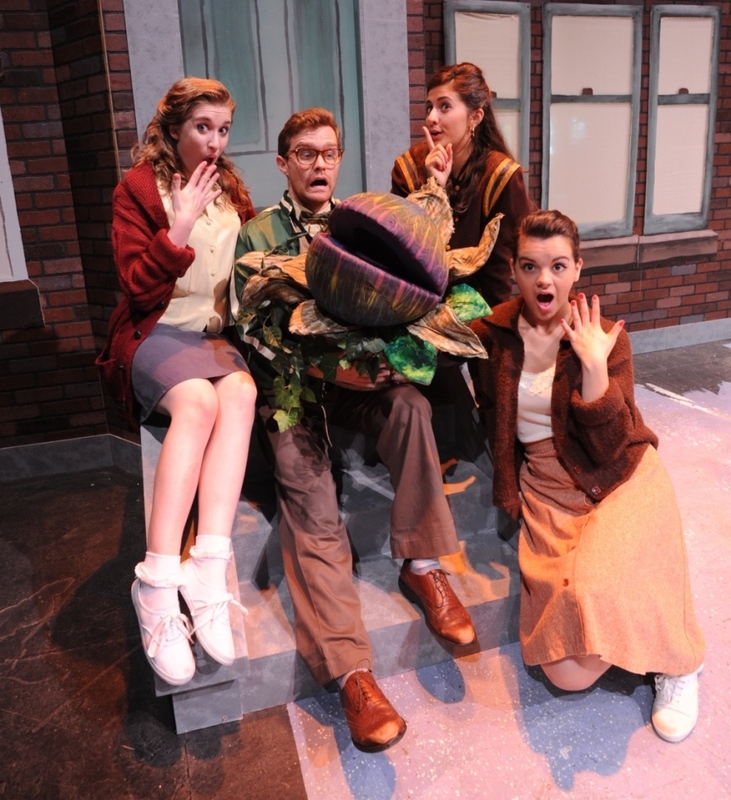 614-823-1109 or Otterbein.edu/theatre.